My day is filled with interruptions, the processing gets queued but the interruptions don’t. In a strange twist of fate many of these interrupts are for communications – new email, an IM, a tweet, there’s also the desk and cell phones, text messages, real mail, and drop-ins. All these productivity boosting forms of communication are preventing me (and many others) from getting anything done. 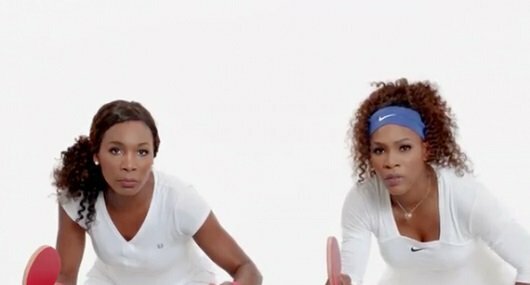 There is a new Apple iPhone commercial that features tennis stars (the Williams sisters) as ping pong opponents in a dream. The ad shows off the iPhone’s Do Not Disturb (DND) feature. “Just turn on Do Not Disturb and your iPhone 5 knows not to ring, unless it’s a call you really want.” That last part is the device’s capability to allow “favorites” to ring through, but no one else. First, there’s a bit of irony in that Apple’s Do Not Disturb feature just spectacularly failed with the new year, but secondly and more importantly it is a flawed solution to a very big and very real problem. I’ve never had anyone I could instruct to hold my calls. I’ve had assistants, but never a secretary. Assistants don’t hold calls. I love the idea of telling someone to hold my calls because it means more then it implies. Calls (and other interruptions) get handled – which may may not mean they get held. The instruction of holding calls carries with it implications that some calls – applied against a common sense filter – will get through. DND doesn’t do this, nor does Apple’s DND because it’s filtering based on caller-ID (favorites) rather than subject or urgency. The worst thing about Apple’s approach is Favorite criteria means more than frequent use, but bestows these group members a special likely unintended class of service. The next big wave of communications technology needs to be about improving productivity. Clay Shirky famously said that “it’s not information overload. It’s filter failure…What we have is a series of filter failures, as our systems for managing information abundance are swamped by the growth of information.” He was referring to technology in general, but it applies quite well to UC. There are so many systems that it takes real effort just to become in a state of DND. First press DND on the desk phone, turn off the mobile (or deal separately with all of its notification types), and then log-out of the various desktop IM and communication solutions. Mission accomplished, except that few of us actually want to be truly unavailable should urgent matters require our attention – even if say a loved on should call from an unexpected device. Wasn’t the whole point of IM and all of these other forms of communications to foster reachability? Personally, I am most productive at night – when the interrupts are fewer. Things are calm, my brain is less jangly. Even twitter seems to settle as most of my Twits nod off. Email slows, and those that do arrive don’t expect an immediate response. I find this hard to recreate during the day. One solution to productivity is a long day – that’s technology for you. Communication technologies are important and should reduce the time to decision. All these new technologies designed to make us reachable are killing productivity. We need technology to focus more on indirect productivity – the secretary-bot. It is a multifaceted complex problem. There’s the filtering issue, to separate urgent from non urgent communications. There’s the number of channels or modes to monitor including emails, messages, texts, IMs, even tweets. And thirdly, there’s the devices to monitor as only my mobile phone gets SMS messages, only my desktop gets work related IMs, and only my tablet runs a specific video client. Being available used to be a passive activity, now it consumes a good portion of the day to check feeds and accounts. This is the part of UC – the unified part – that was a dismal failure. Sometimes I feel that I am the target of a distributed denial of service attack. Being reachable, available, and constructive has become a contradiction in terms. The solution requires contextual intelligence and interpretation. Avaya is the only firm publicly talking about this, they call it Contextual Awareness. If they can figure it out, they will have a huge advantage. Though I’m not so sure the solution is on the horizon. Not only is the filtering logic complex, but so are the privacy issues. Consider Google, for example, which knows quite a bit about me, yet still can’t get things it. Google continues to show me ads for cameras even though there is a camera order confirmation message in my Gmail. It also shows my wife camera ads – even though there is a camera confirmation in her husband’s email. Can a UC vendor really beat Google at searching and targeting? We’ve licked connectivity- rich communications between any device at any location – now we need to control it.